Florence Goff first came to Bryn Mawr in 1973 as Coordinator of Special Projects for the Library. Goff was the College’s Associate Chief Information Officer and Equal Opportunity Officer. She also acted as an unofficial mentor to Bryn Mawr students. Lauren conducted an oral history interview with her in July of 2013. "I came to understand that it was an elite nature of Bryn Mawr." When Florence Goff first arrived at Bryn Mawr College in 1973 as Coordinator of Special Projects for the Library, she noticed that there were not many students, faculty, or staff of color, which was in keeping with her preconceived notions of the College. Goff soon also learned that the subject of motherhood was not something Bryn Mawr faculty and staff talked about, and that there was more community support for heavy career focus than on energy devoted to family, a phenomenon that seems connected to the elite roots of Bryn Mawr's history. Eventually she noticed slow systemic changes taking place at the College: by the mid-80s and early 90s there was an increase in diversity among the student body. She notes the College's partnership with the Posse Foundation, and the fact that the recruiting efforts of the Admissions Office added to increased enrollment of students of color. "The institution was something like a dragon." Goff compares the way leadership functioned at the College to the anatomy of a dragon: she felt that key administrators led without considering the impacts their decisions had on the tail, which was the campus community. Although the percentage of students of color was increasing, the necessary support systems still were not in place to help them transition into this community. She reflects that this disconnect between enrollment and student experience stems from the tendency of the administration to act, like a dragon, without taking into account its tail. "Building a critical mass is not the beginning and end of the process." Goff explains that once students of color are brought to campus, certain support systems must be in place to help them succeed. She highlights that she did begin to see a shift in community diversity during her time here, but diversity is about more than the numbers: it is about making sure that all students feel welcome and a part of the community. 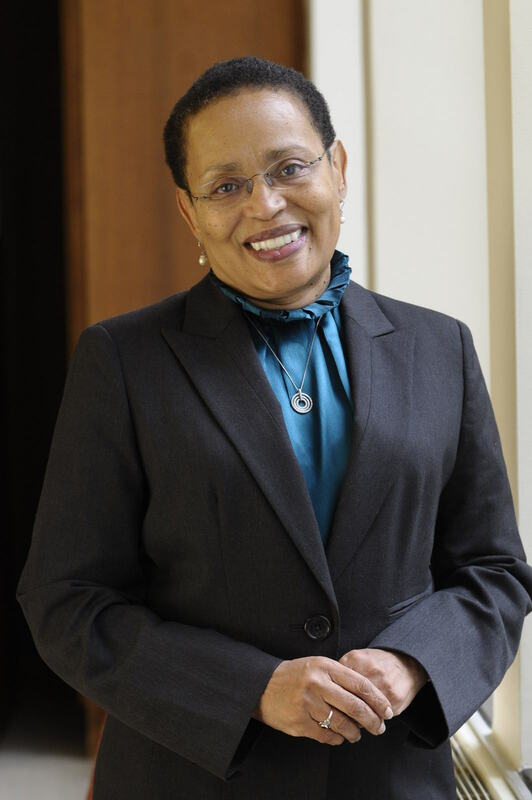 She thought that Bryn Mawr needed systems set in place to help students thrive in an institution that was not initially open to diverse communities at its founding. It is easy for feelings of exclusivity to still be perpetuated.